Brady Tindall, Lovett, QB 5’11” 180 lbs. Tindall led the Lions to a thrilling, upset victory over fellow private school and perennial powerhouse, Marist. His efforts of 314 totals yards in the game came off of 23 of 34 throws for 253 yards along with rushing on 20 carries for 61 yards. His yardage culminated with a 3 yard 2 point conversation attemot in overtime that iced a dramatic game where Lovett pulled out the win 29-28 in what may have been the most exciting game in the state on August 26, 2016. 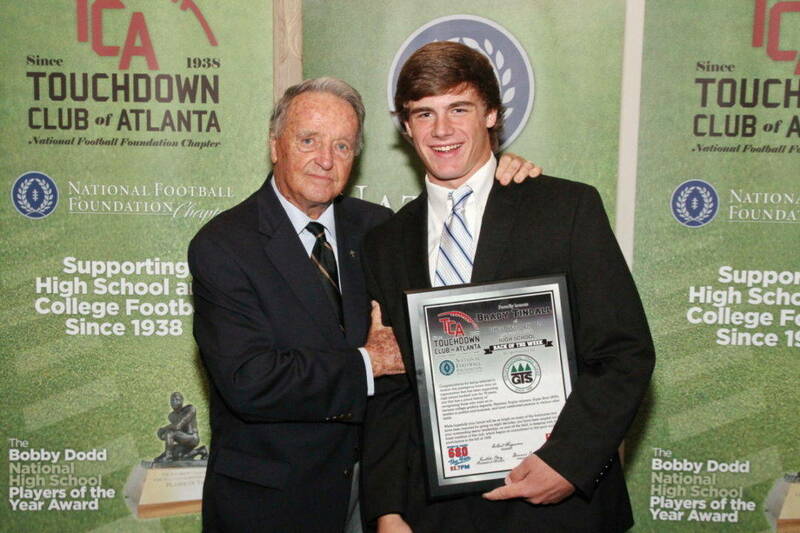 For his efforts the Touch Down Club of Atlanta has selected Brady Tindall as our Back of the Week.